The ultimate boot scraper and boot jack. 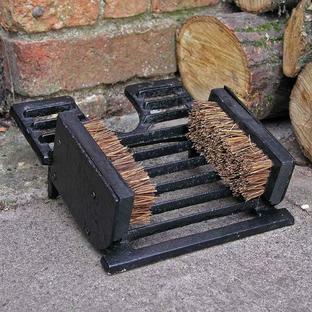 Hand made from oiled oak with arenga fibre brushes, this is the ultimate boot scraper and boot jack. 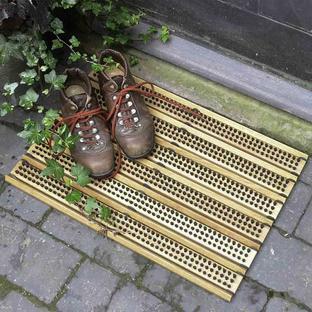 The design allows you to clean the dust and dirt off your shoes without having to bend over. Remove your shoes using the bootjack, holding on to the pole for balance. 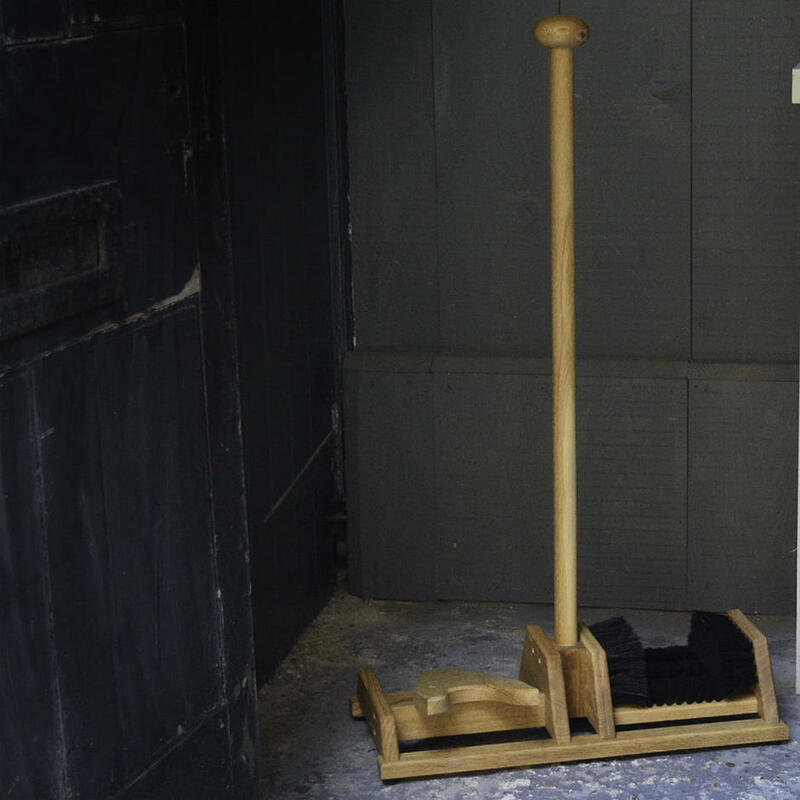 Arenga fibres have excellent cleaning and wearing qualities, and don't crush or rot. 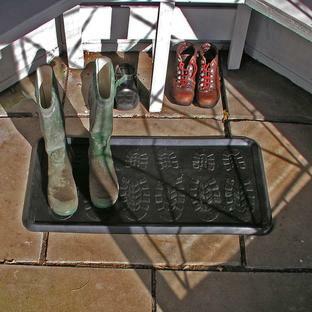 Place the oak boot jack under cover, either in a porchway, under a canopy, or in a boot room. 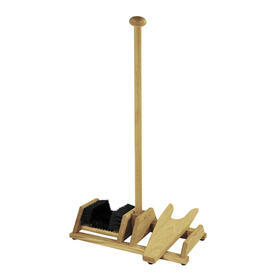 The boot jack is an excellent companion to the contemporary boot stand.